Haswell marks a fundamental shift in the computing landscape. With its fourth-generation Core micro-architecture, Intel's focus has moved from all-out performance to efficiency and scalability. Harnessing everything that's good about its predecessors, the fourth-generation chip builds on the foundations laid by Ivy Bridge and Sandy Bridge by introducing support for new instructions, a more efficient pipeline, a wider back-end, and a far superior IGP. This, according to the chip giant, is the architecture that will shape the PC industry for years to come. In terms of CPU performance, Haswell delivers an increase of up to 10 per cent when compared directly to incumbent Ivy Bridge on a same-clock basis, while IGP performance rises by as much as 50 per cent in certain titles. Yet, for desktop enthusiasts, Intel's fourth-generation Core processor family has the ability to excite and frustrate. Haswell is a mighty-fine processor, but for those with deep pockets and monster heatsinks, don't you just wish that Intel had started the show with a hexa-core enthusiast model priced at the obligatory $999? As it stands, there aren't a great number of reasons for desktop users with Sandy Bridge or Ivy Bridge platforms to rush out and upgrade - indeed, if you're a gamer with a discrete card, you're unlikely to see a major framerate differential between any of the three generations, and you may find less overclocking headroom. Intel has possessed a fast and unchallenged microarchitecture for a number of years. The goal is to bring that level of performance to increasingly-popular form factors such as all-in-ones, convertible laptops and tablet PCs. 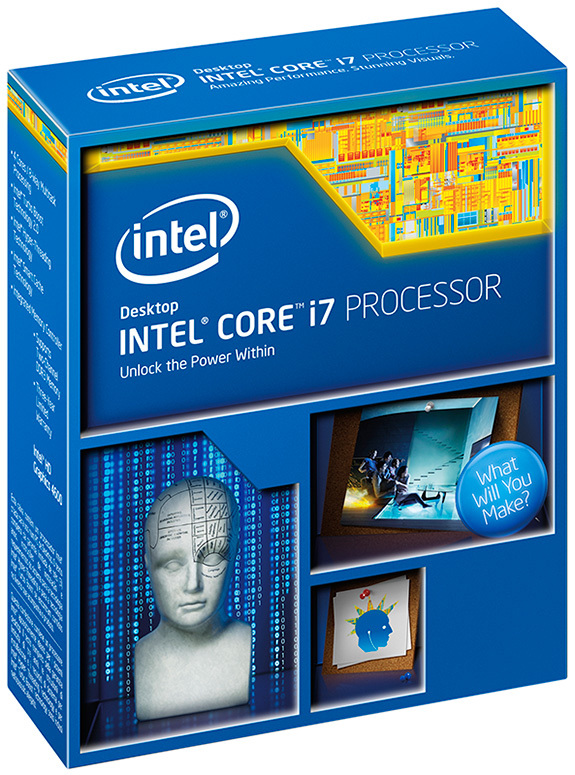 For the first time, the top-of-the-range Core i7-4770K desktop part isn't the chip we're excited about. As the industry moves from components towards solutions, it's the prospect of a Haswell-powered Surface Pro offering an always-connected Windows 8.1 experience with true desktop performance, all-day battery life, and, who knows, a fanless chassis, that really tickles our fancy. The Intel Core i7-4770K processor will be available to purchase from Scan Computers*.